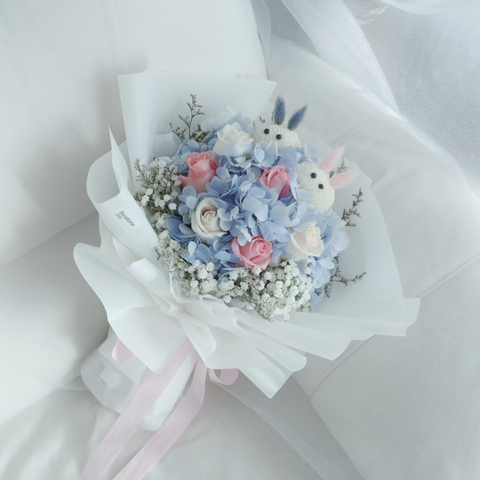 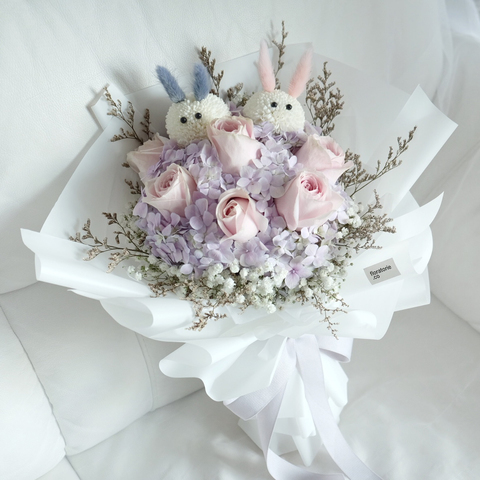 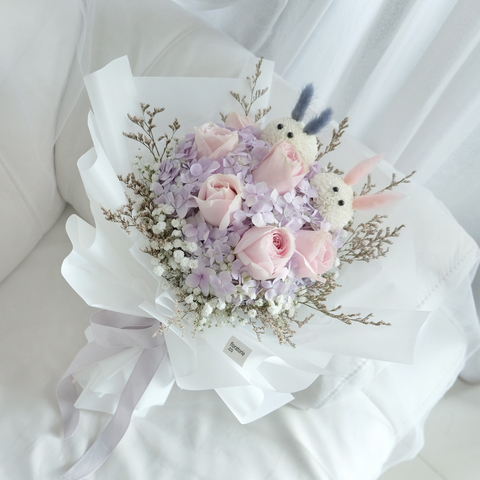 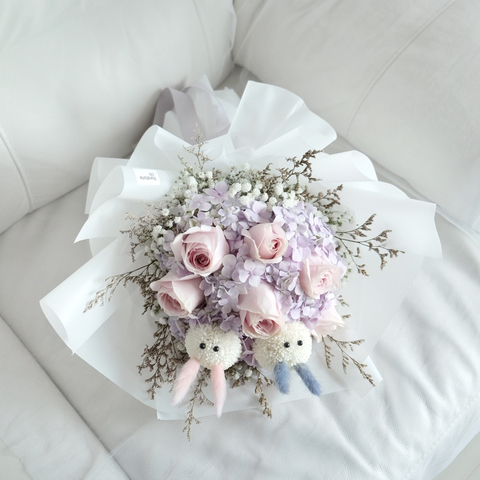 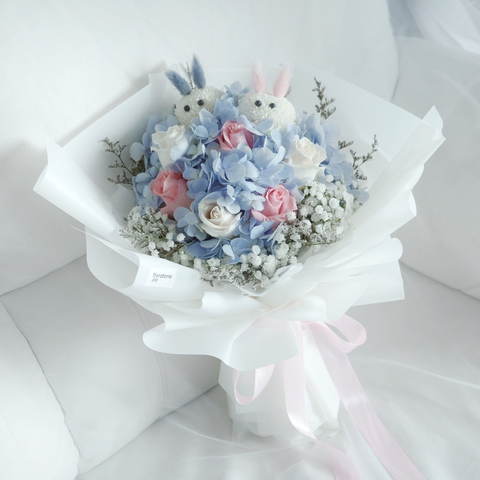 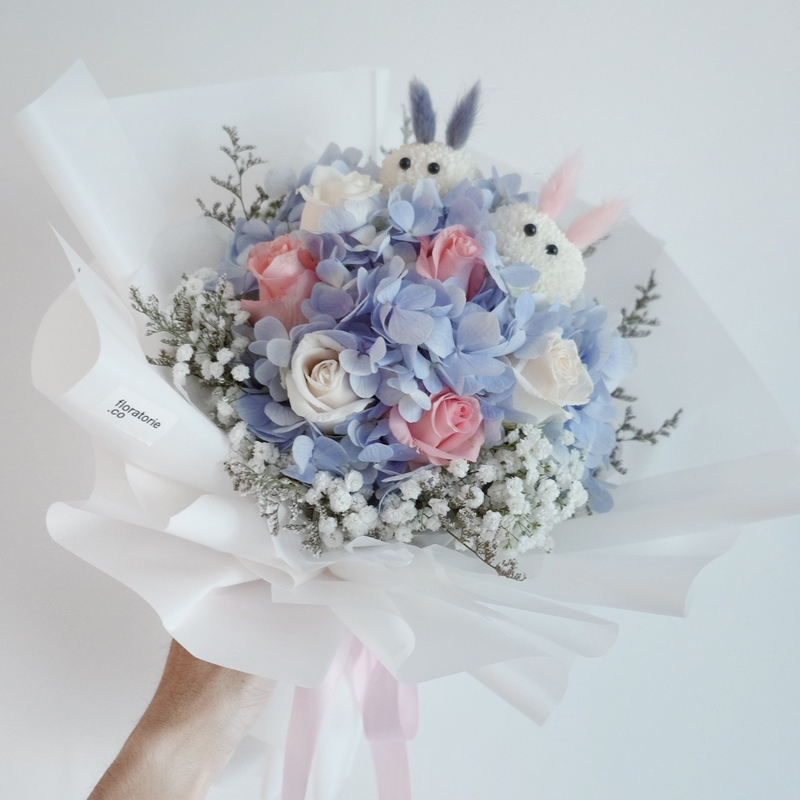 Bunnies ping pong, pastel blue hydrangea, sweet roses, baby breath. The bouquet will wrapped with our signature wrapping styles. 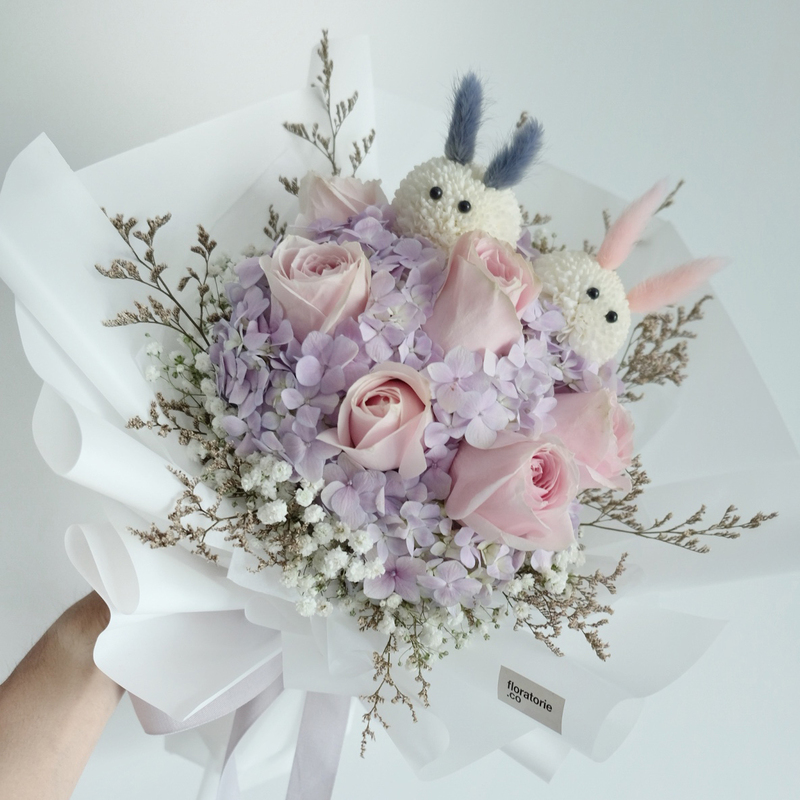 It is the cute and sweet!